If you’re considering taking a child to counseling for the first time, here are a couple books that could help them out and maybe even excite them about this new experience. Like most children, Kevin worries about many things. Is there something lurking under the bed? Or perhaps even in the closet? Did he remember to do all his homework? Unlike other children, however, even after he checks one time, he lies in bed feeling like he still needs to check one more time…then another. These routines become even more time consuming and start to cause him even more worries. Finally, when Kevin starts to worry about impossible things, his parents tell him they’re going to take him to a therapist. Kevin’s experience with this therapist is very positive and she puts what he’s going through in terms he can understand. An important lesson Kevin learns is that he isn’t alone in his struggle. 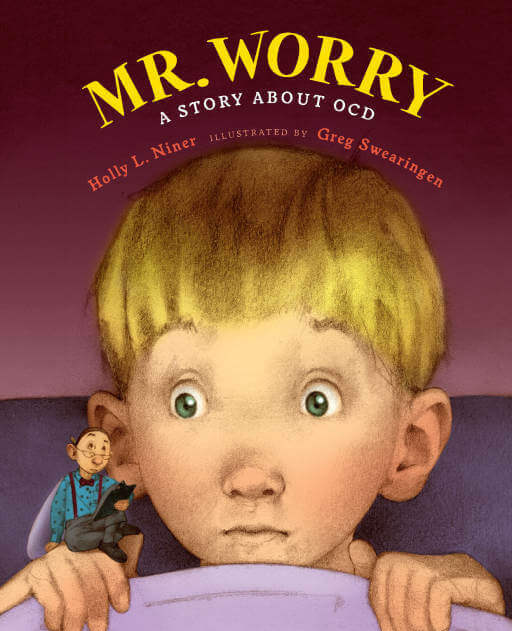 This book is great for anyone with a child who worries, especially if these worries become routines because it could be a sign of Obsessive Compulsive Disorder, an underdiagnosed condition. Some Bunny To Talk To by Cheryl Sterling, Paola Conte, and Larissa Labay is a story about Little Bunnyorries all the time which makes him sad. Everyone he knows tries to help him, but nothing ever works. 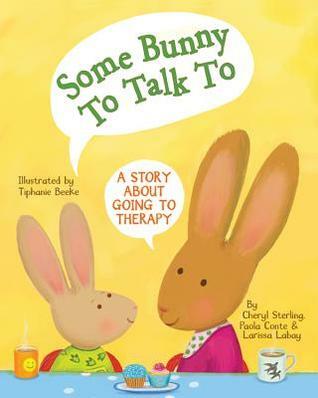 That’s when Big Bunny tells Little Bunny that a therapist can help with these problems and can be fun too. Little Bunny is excited to see a therapist and begin to conquer the worries. After the story, the authors, three pediatric psychologists give great tips on taking children to therapy, what to expect, and how to react. This is a great read for anyone with children anxious about a new counseling session.